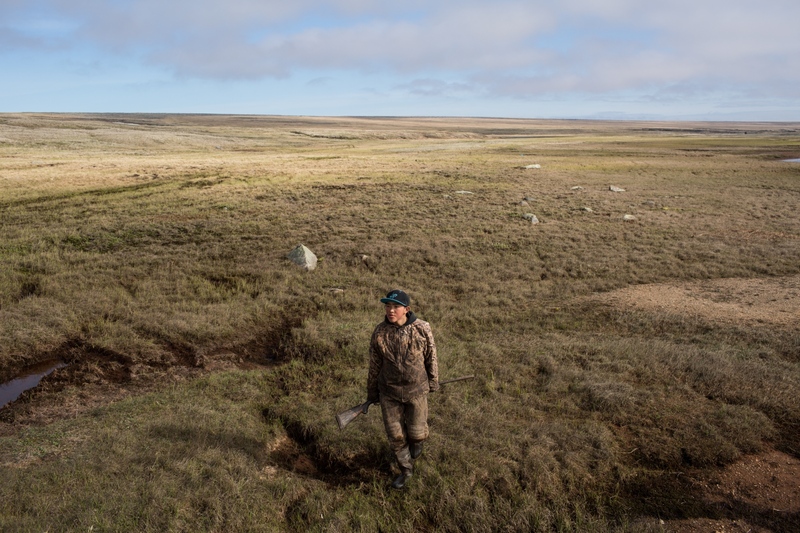 Chris Apassingok was 16 when he successfully hunted a bowhead whale for his family and his community of Gambell on the remote island of St. Lawrence Island, which is one of the greatest honors for a young man in a St. Lawrence Island Yupik village. After a member in the community posted a photo of the harvest, local media published stories celebrating the hunt. Paul Watson of Sea Shepherd then took to posting to social media, calling Chris a murderer. 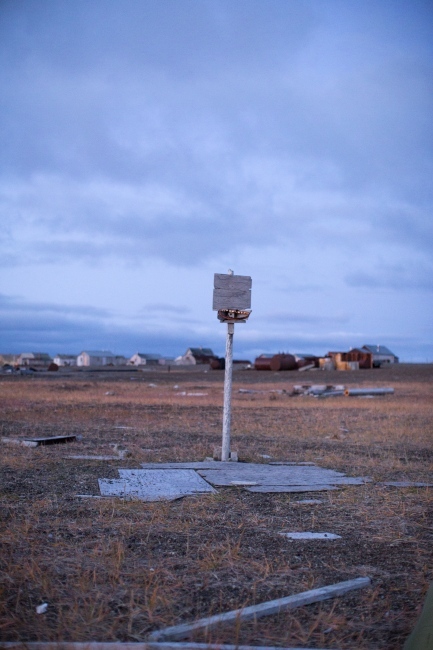 On an island in the Bering Sea, roughly 36 miles from the Russian coast, there is an island called St. Lawrence. Because of its isolation, the culture, which is older than America by a few thousand years, is well preserved. 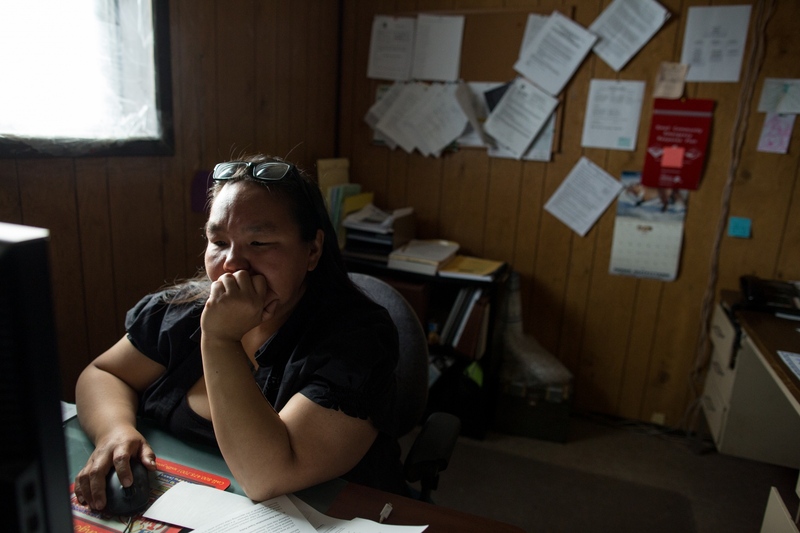 Many people speak Yup'ik as well as English. 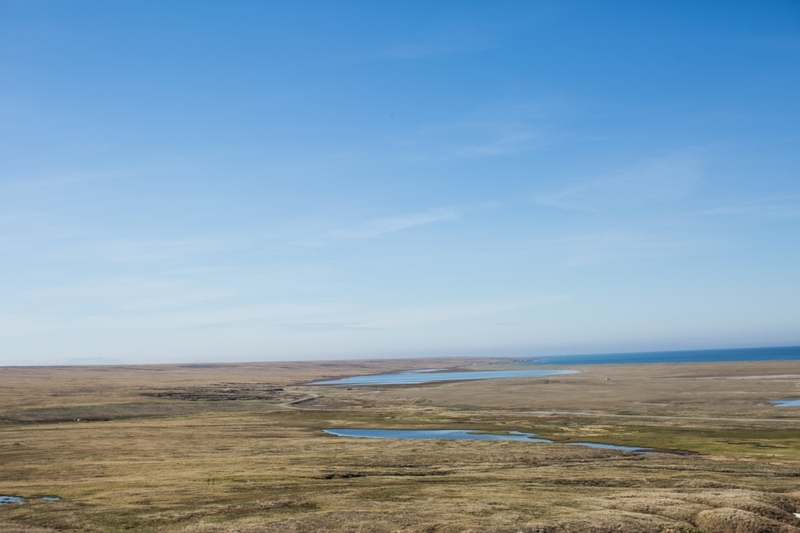 St. Lawrence island is one of the few places in the U.S. where people actually must hunt to live. 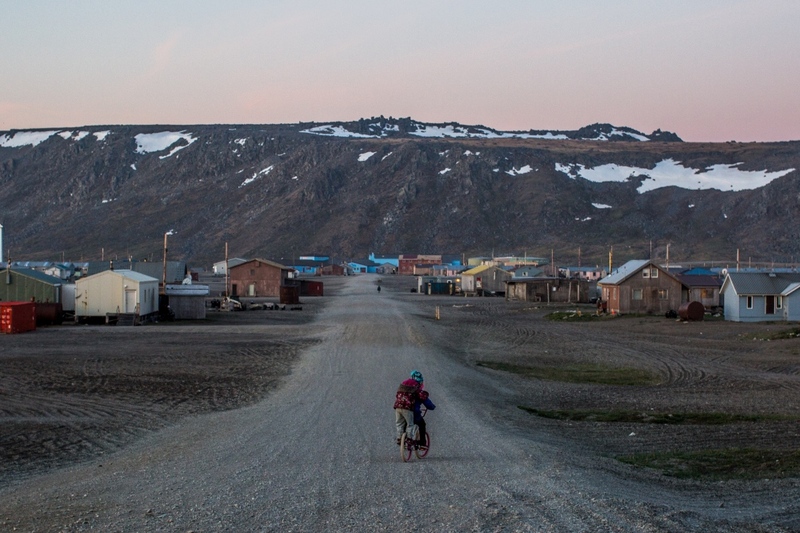 The village relies on reindeer and marine mammals to offset the high cost of food that travels in by barge. Climate change-related storms have changed the ice conditions, making hunting harder every season. 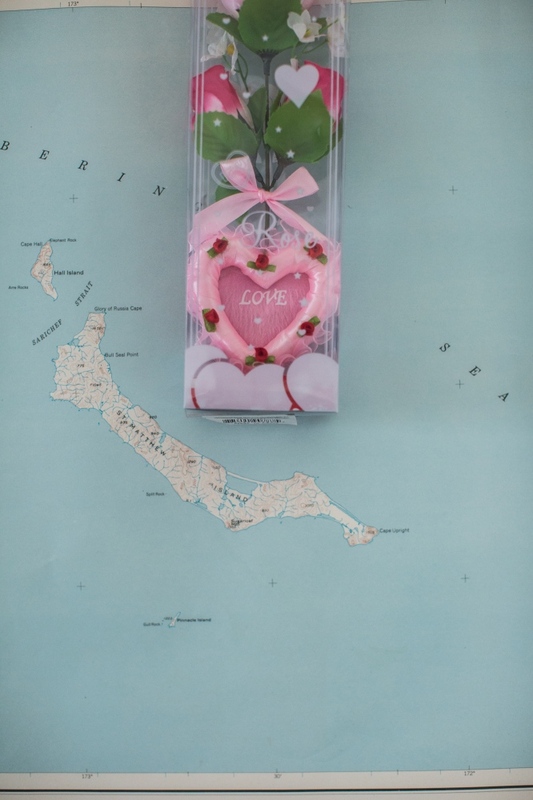 In 2013, the governor declared an emergency and sent food as there was such a small harvest,. 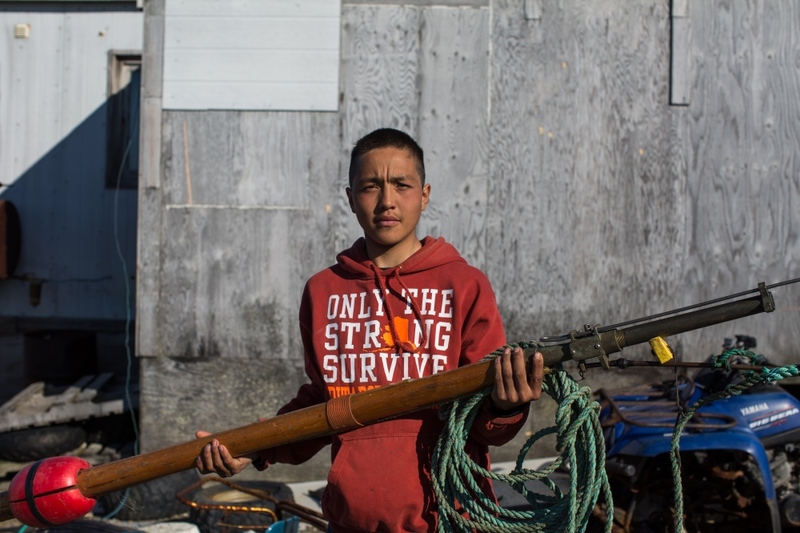 In April 2017, a 16-year-old boy named Chris Apassingok, acting as a young striker on a whaling crew, harpooned a whale. The whale was a bowhead, roughly 150,000 pounds and approximately 200 years old. In the village's traditional culture, there is no bigger honor for a young man. 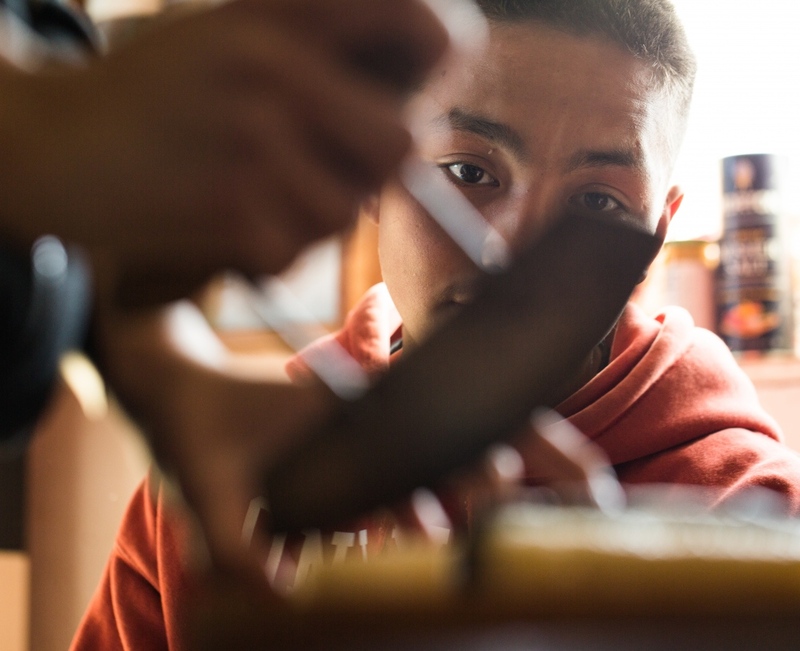 Taking a whale, hauling it in, butchering it and sharing it involves everyone in the village and is a central way that values are passed on from one generation to another. His story was picked up by the radio station in Nome and then by the Alaska Dispatch news, which is how it was discovered by Sea Shepherd, an environmental organization headed by Paul Watson, a co-founder of Greenpeace. Watson went on his FB page with a lengthy rant, which were then echoed by his followers. And then Chris logged into his Facebook account and found people from all over the world sending him death threats. 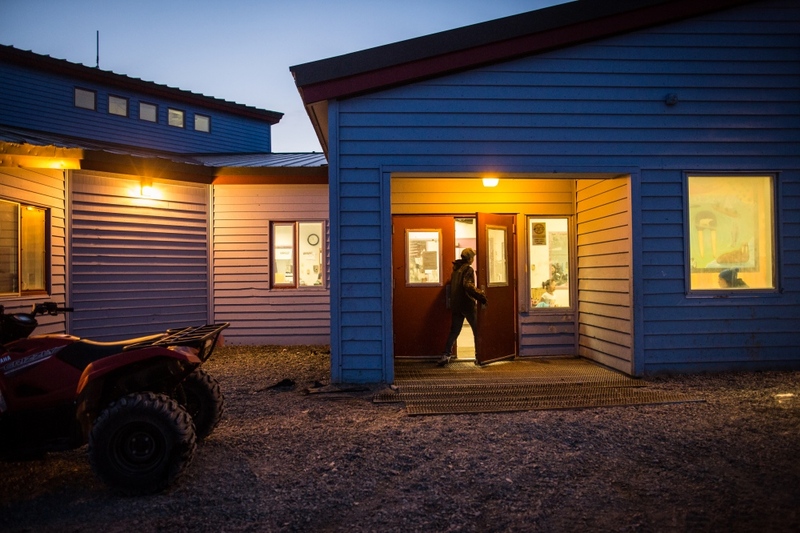 It's a complicated experience of being a village teenager in Alaska, and these contradictory messages are damaging. There is this point that you get to, villagers say, where as a kid you are trying to decide whether to accept or reject your culture, to leave your village or stay, and you are looking for identity and a sense of purpose and it's hard to navigate it all. 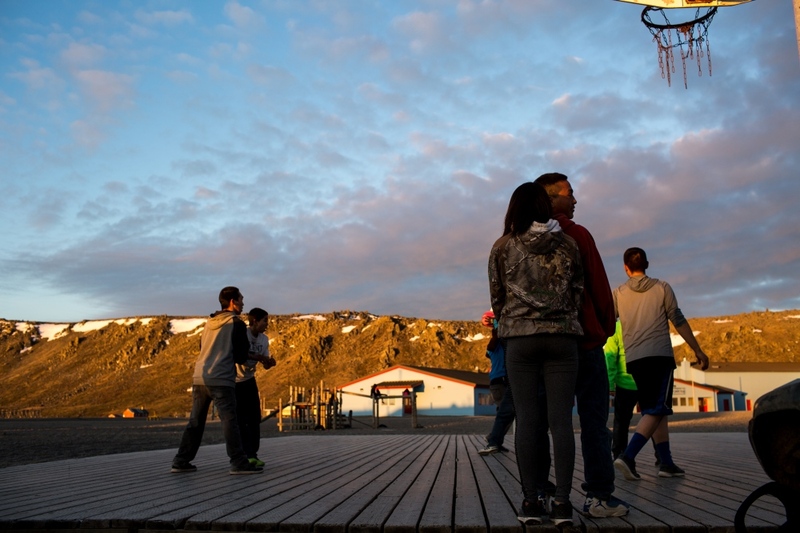 It is worth adding that young Native men in Alaska may have the highest rate of suicide in America. Chris's family and people in whaling communities all over Alaska took to Facebook to defend Chris. And Watson eventually took the post down. But Chris felt ashamed, his aunt said. She helped fundraise to bring him and his mother to Anchorage to celebrate his successful hunt, and now that months have passed and Chris has been recognized in many different ways in his state and community as being a cultural leader in his generation, healing has begun. 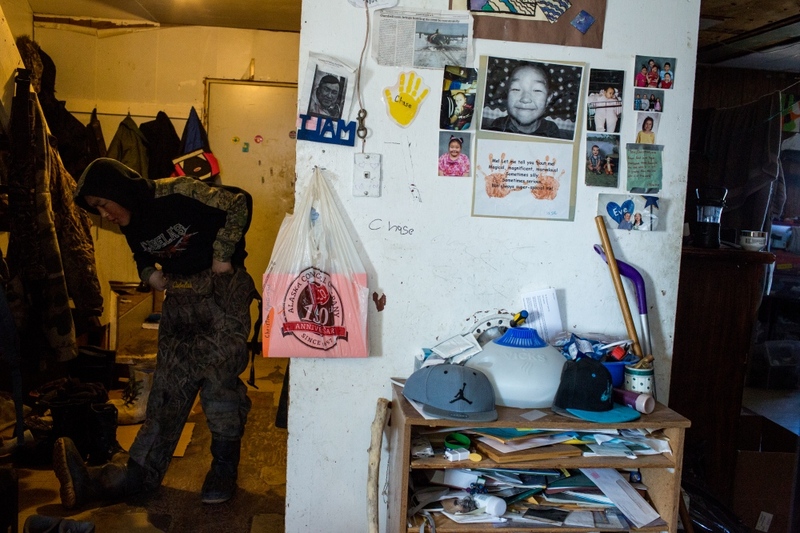 Chris Appassingok holds a darting gun outside of his family's home in Gambell, Alaska. 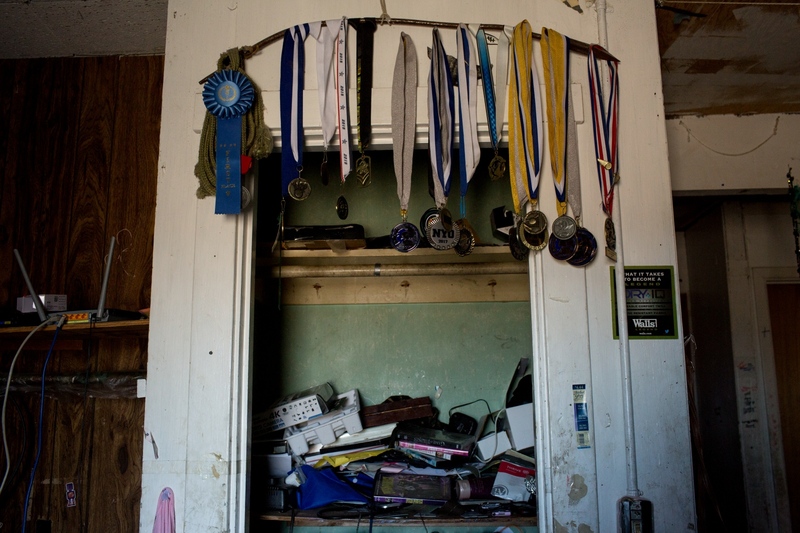 Athletic medals, mostly Chris Apassingok's sister Danielle's, hang from a harpoon inside their home. 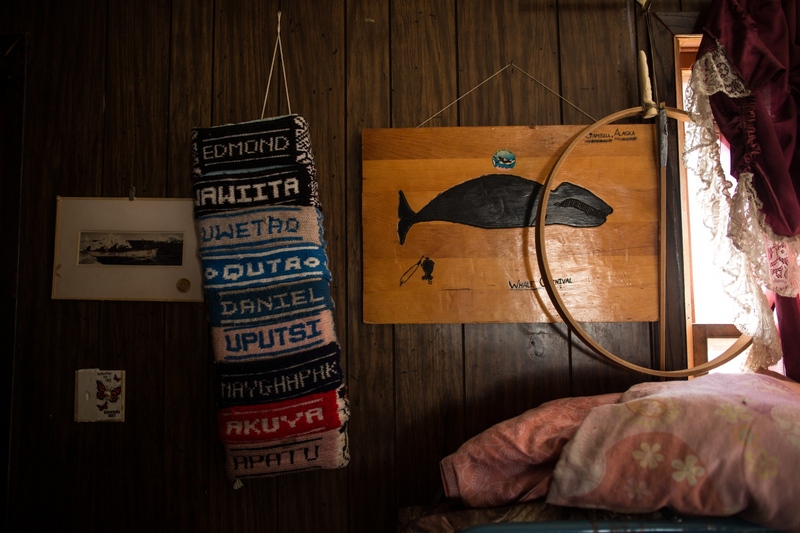 A wall inside of the Apassingok home boasts one of the articles on Chris's successful hunt of a bowhead whale in the spring. 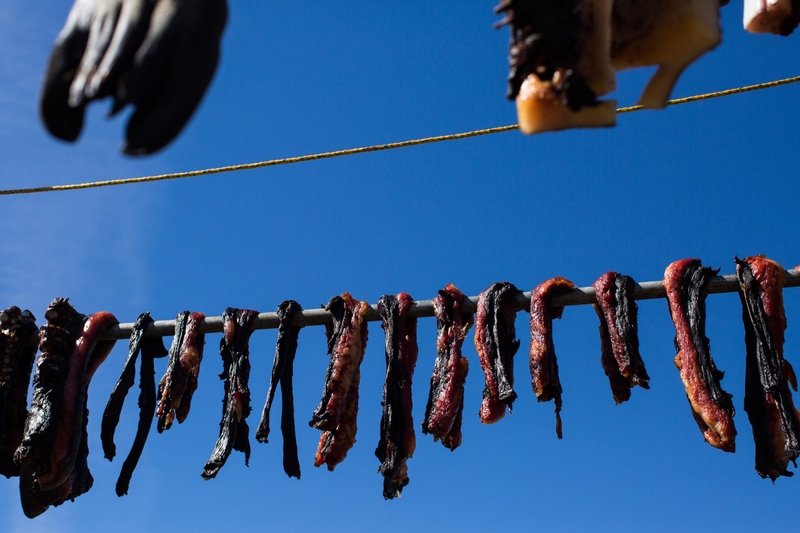 Meat, mostly walrus, hangs from a rack outside of the Apassingok home. Chris is considered a gifted hunter among his family members and community. Part of the whale struck by Chris Apassingok with his father, the captain of his crew, in April 2017, on the lawn outside of his family home. Shares from a whale like this one are stored and also given to other members in the community and family members in other parts of Alaska. Part of the whale struck by Chris Apassingok in April 2017, rests on the lawn outside of his family home. "It was his idea to put it there, so we can see it through the window," Susan, his mother, says. 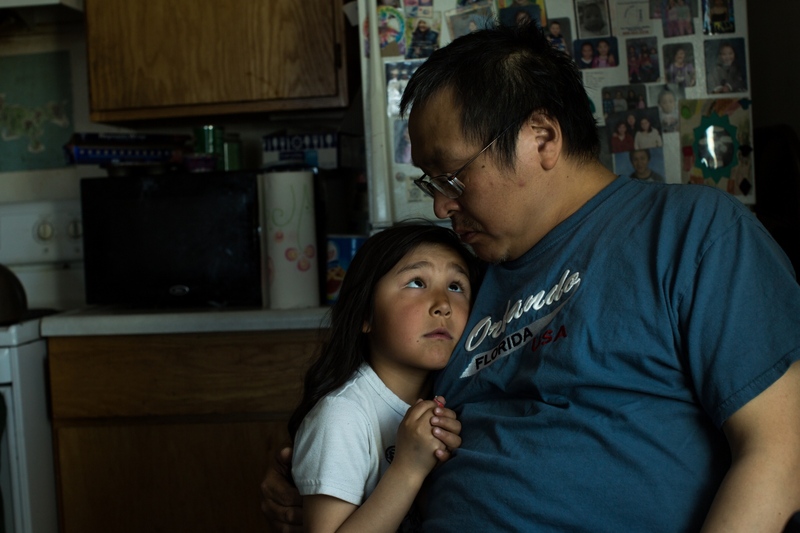 Chris Apassingok watches his sister, Danielle Apassingok, 17, as she cuts mungtuk with an ulaaq in the kitchen of their home. Danielle Apassingok, 17, cuts mungtuk with an ulaaq in the kitchen of her home. 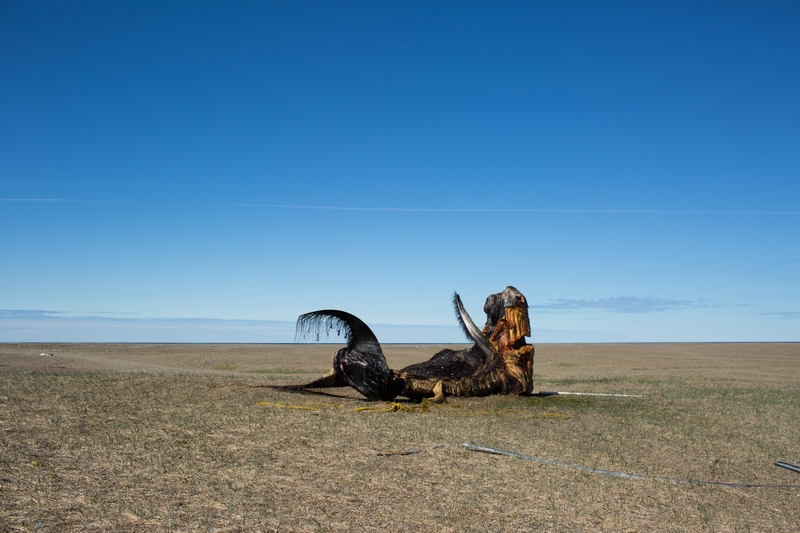 The mungtuk is from the bowhead whale her brother Chris struck in April. 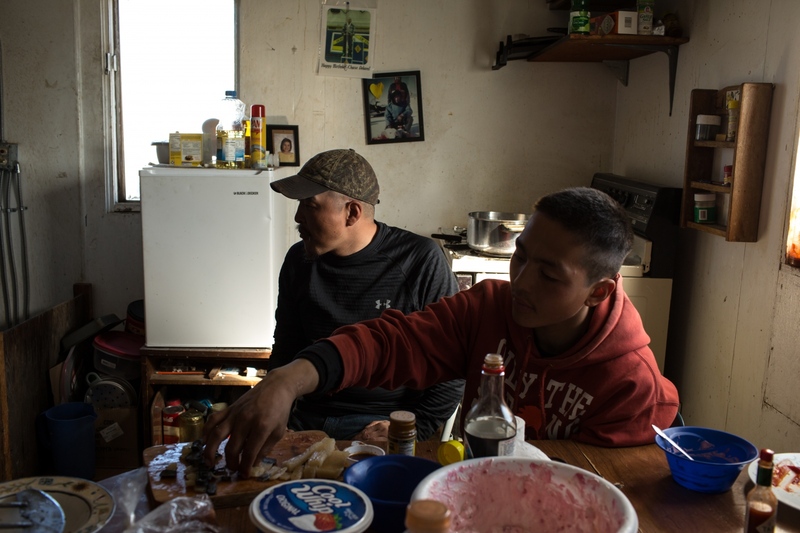 Whaling captain Daniel Apassingok and his son, Chris Apassingok, eat mungtuk in their home in Gambell, Alaska. 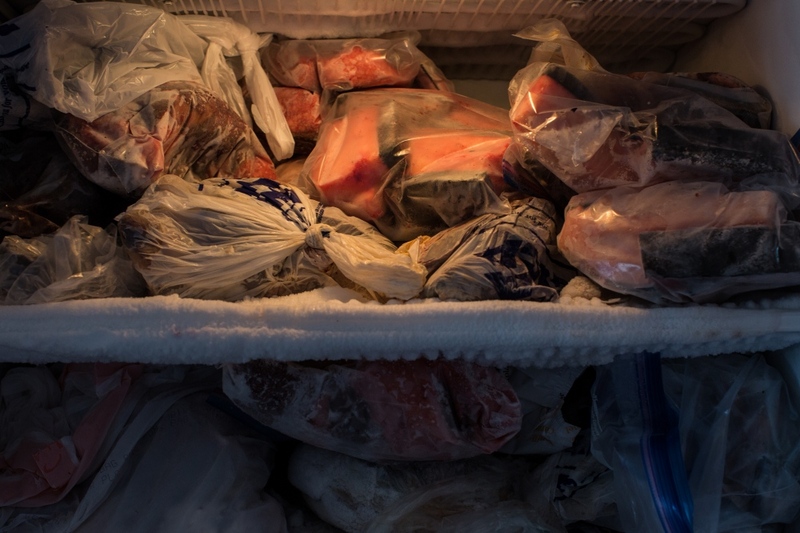 The freezer in the Apassingok home, filled with mungtuk (whale blubber), and other meats. A wall in the Apassingok home. Youths, adolescents and adults play basketball in Gambell around 1:00 AM. It's normal to see games being played and people out and about during the wee hours of the morning during the summer months, when the village does not experience true night; twilight falls around 2:00AM and lingers until sunrise at 5:00AM. Chris stands with his girlfriend, Ina, on the basketball court late one night. 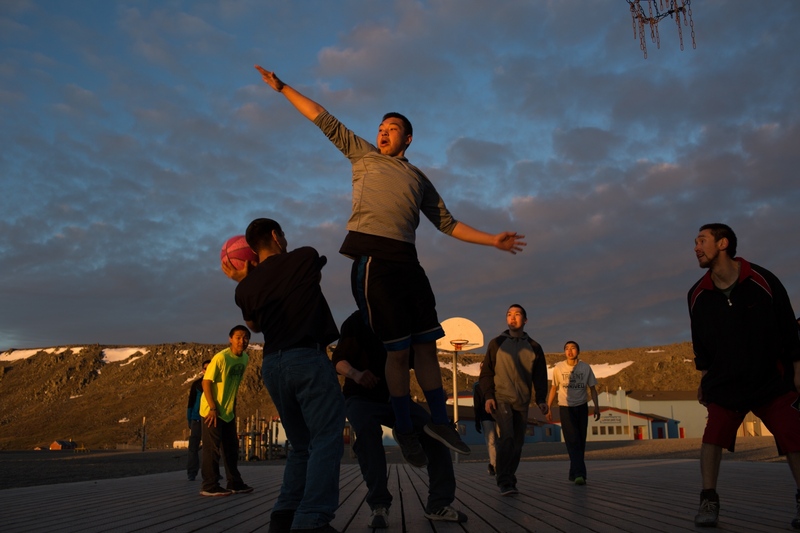 Youths, adolescents, and adults play basketball in Gambell around 1:00 AM, and it's normal to see games being played and people out and about during the wee hours of the morning. In Gambell during June, the village does not experience true night; twilight falls around 2:00AM and lingers until sunrise at 5:00AM. 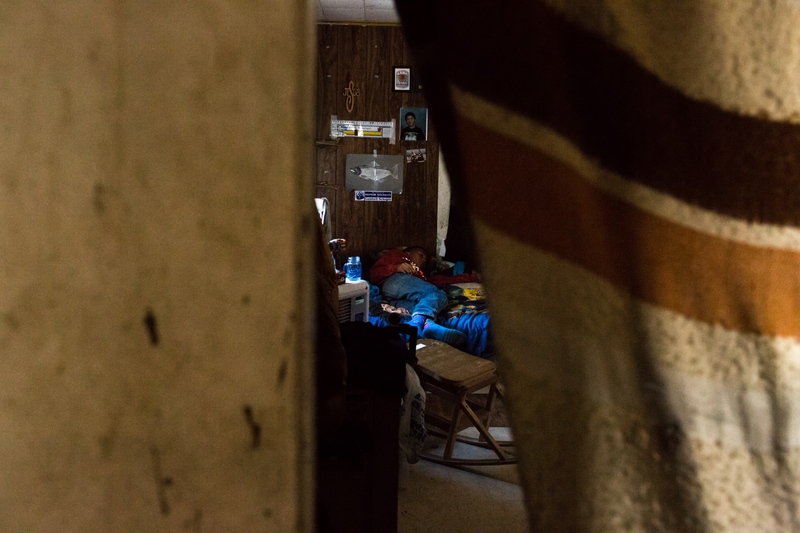 A boy holds a puppy in the doorway of one of the Apassingok's neighbors late one night. It's normal to see games being played and people out and about during the wee hours of the morning during the summer months, when the village does not experience true night; twilight falls around 2:00AM and lingers until sunrise at 5:00AM. Two girls ride a bicycle together at around 2:00AM in Gambell, Alaska. It's normal to see games being played and people out and about during the wee hours of the morning during the summer months, when the village does not experience true night; twilight falls around 2:00AM and lingers until sunrise at 5:00AM. 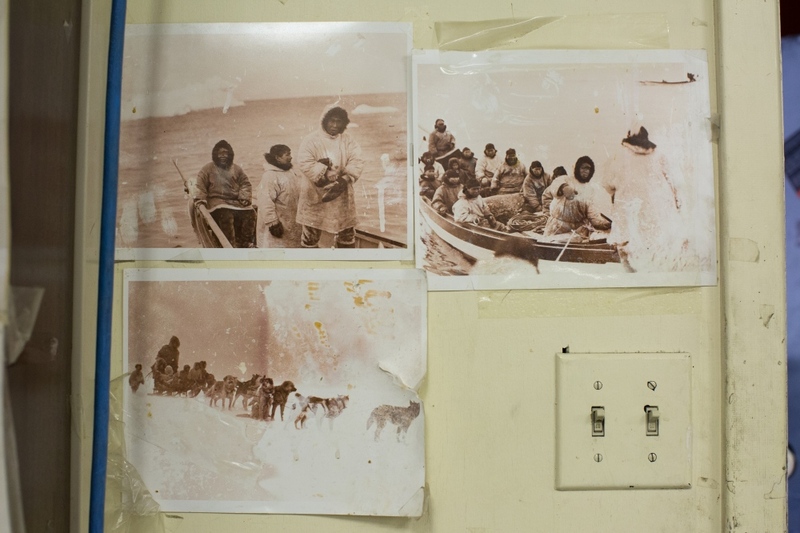 Photographs of whaling crews hang in Gambell Native Store, the store for groceries and neccessities in Gambell. 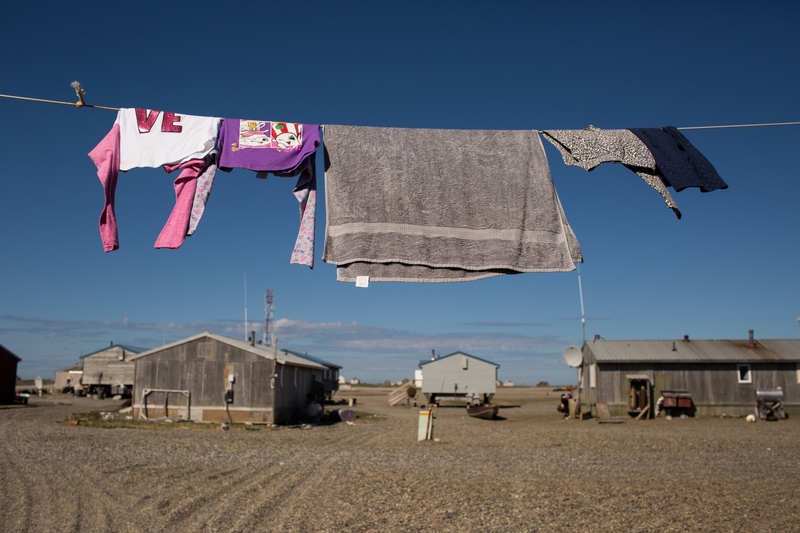 A clothesline hangs between homes in Gambell, Alaska. Merle Apassingok, Chris Apassingok's uncle and Daniel Apassingok's brother, talks with his 5-year-old granddaughter, Haylee, in his home in Gambell, Alaska. 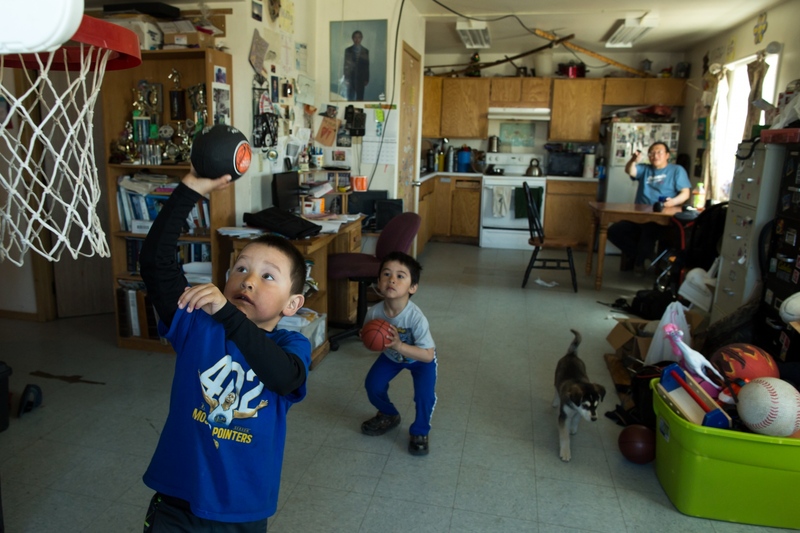 Merle Apassingok, Chris Apassingok's uncle and Daniel Apassinok's brother, watches his grandsons Rider, 5, and Don Don, 3, play in his home. After a late night of playing basketball and a very early morning hunt, Chris sleeps for most of the day. His mother says that sometimes he can sleep for a straight 24-hours after a day like that. 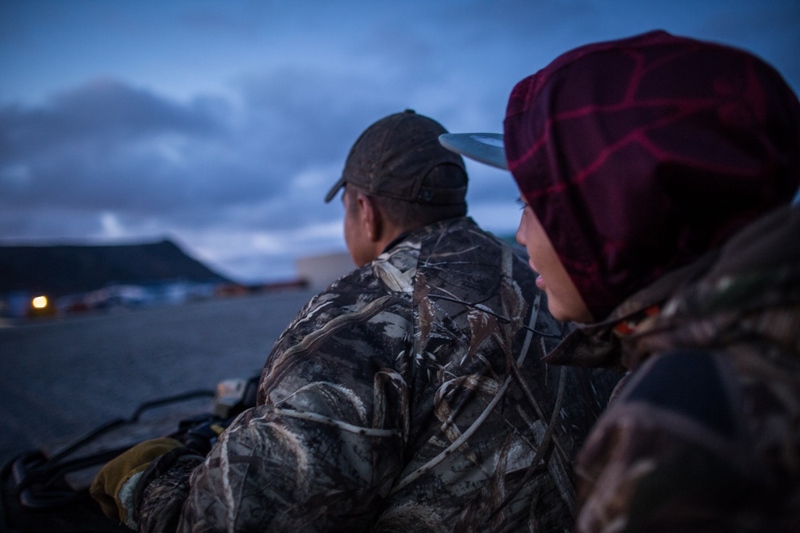 Chase Appasingok, 13, prepares to go out hunting for seal and birds while his brother, Chris, sleeps after his successful morning hunt. View from the gravel road heading up Sivuqaq Mountain. Chase Apassingok, 13, hikes through the marshy fields just outside of town, looking for birds. He says his older brother, Chris, has taught him a lot about hunting. 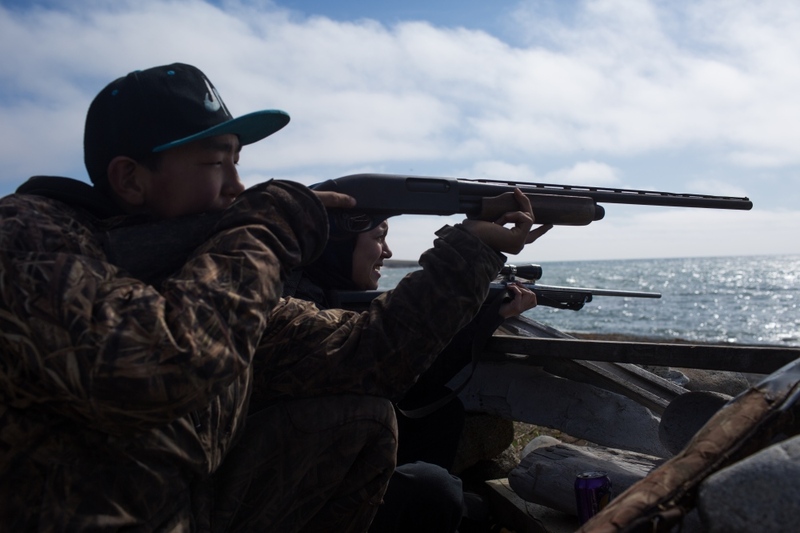 Chase Apassingok, 13, and his sister, Danielle Apassingok, 17, sit in a seal blind, watching the sea for seals. 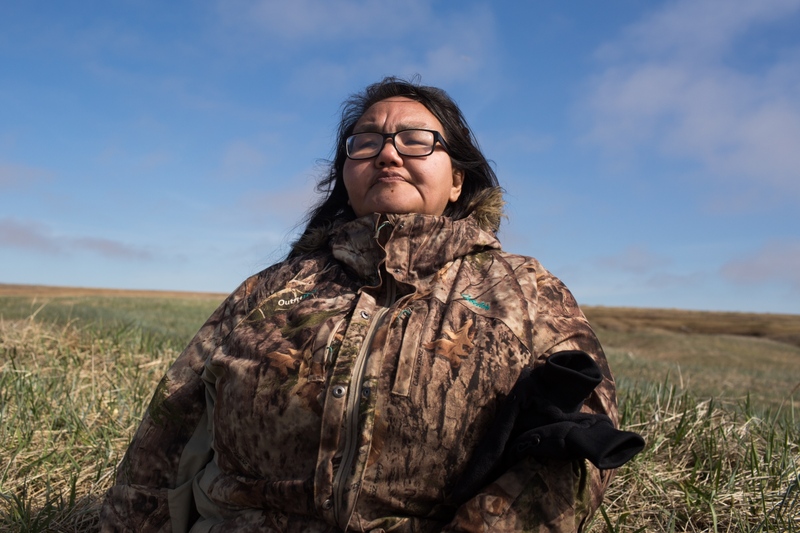 Susan Aakapak Apassingok says that she is heartbroken over the way her son, Chris, was harrassed on social media after succesfully striking a bowhead whale. 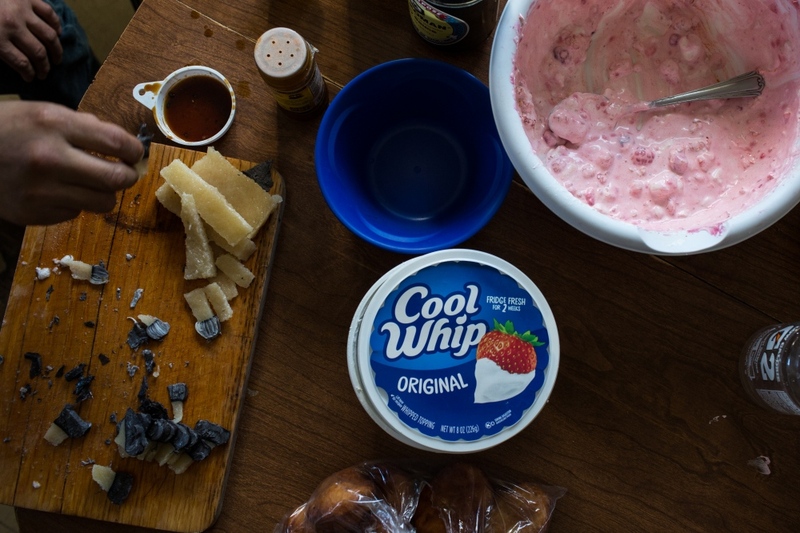 "We struggle to buy gas and food," she says. "They risk their lives our their to feed us." 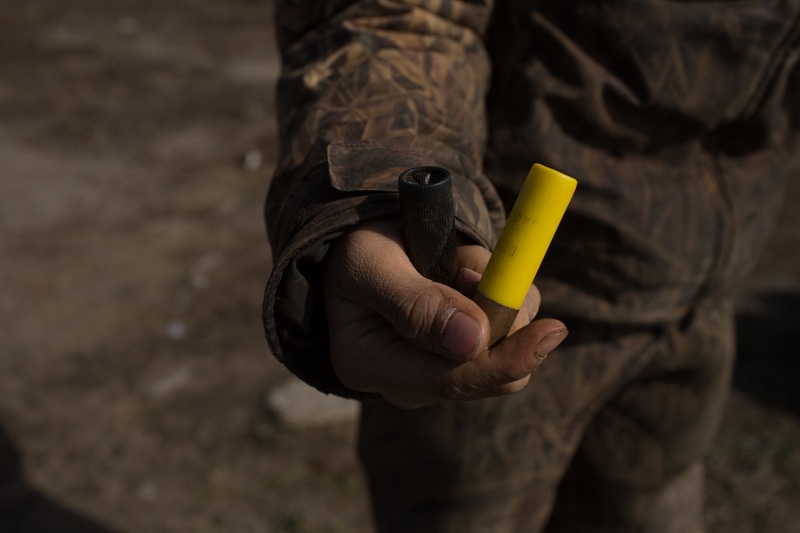 Chase Apassingok, 13, holds some of the shells from bullets he uses while hunting. 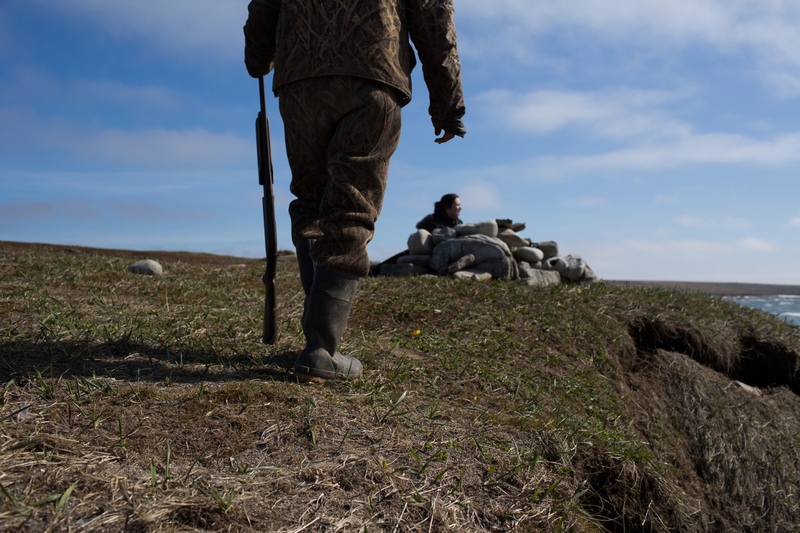 After a day with no seal sitings, Danielle and Chase Apassingok decide to head out to hunt pintails. 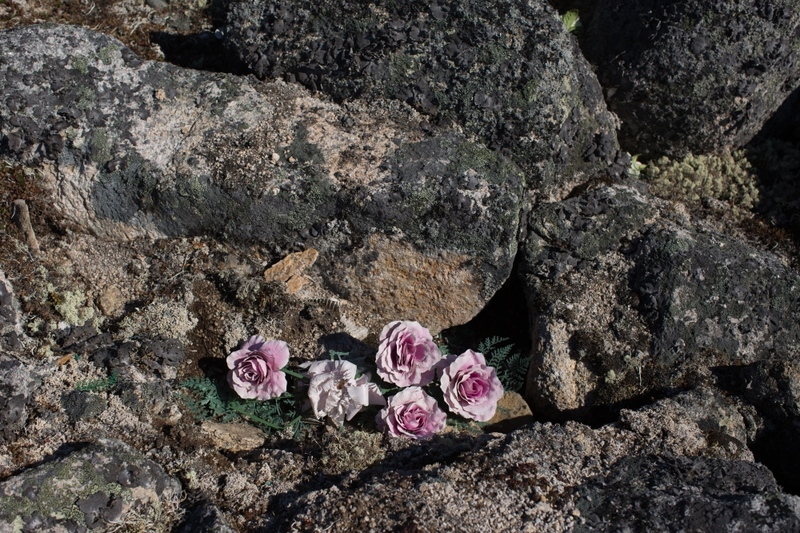 On the way, they stop for a snack, a plant that in Yupik is called angukaq. 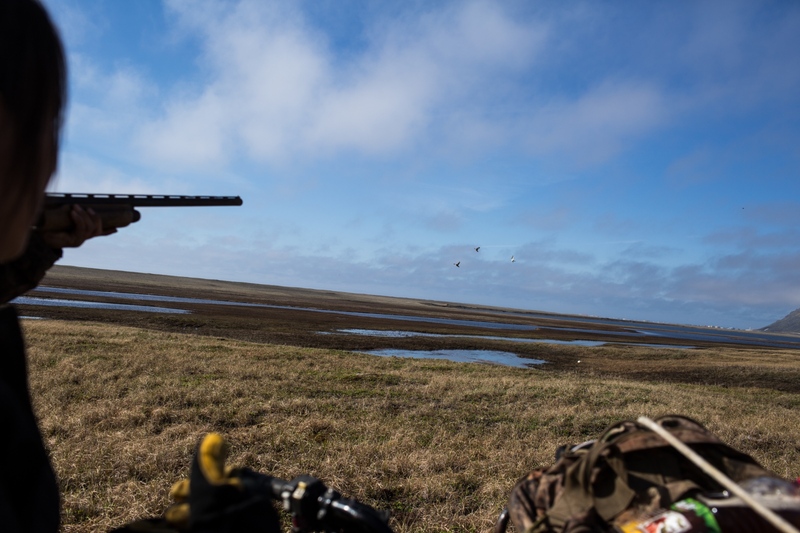 After a day with no seal sitings, Danielle and Chris Apassingok decide to head out to hunt pintails. 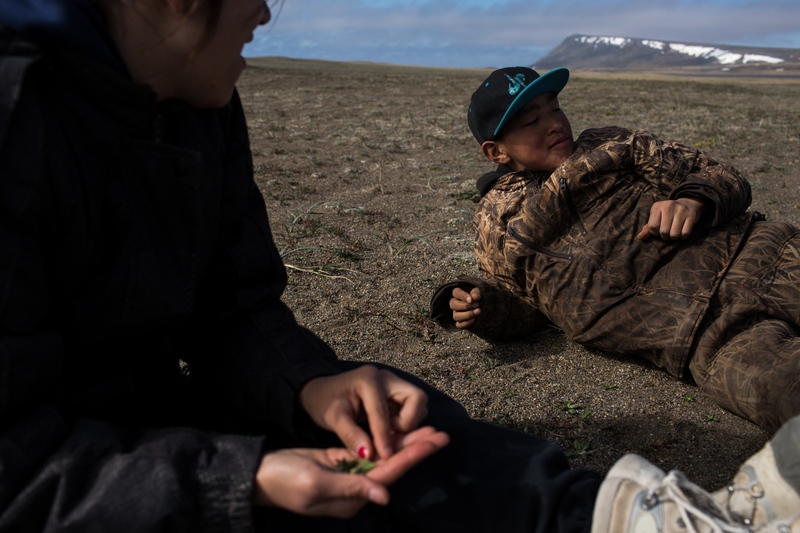 On the way, they stop for a snack, a plant that in Yupik is called angukaq. Chase Apassingok fires at some pintails, but is unsuccesful. 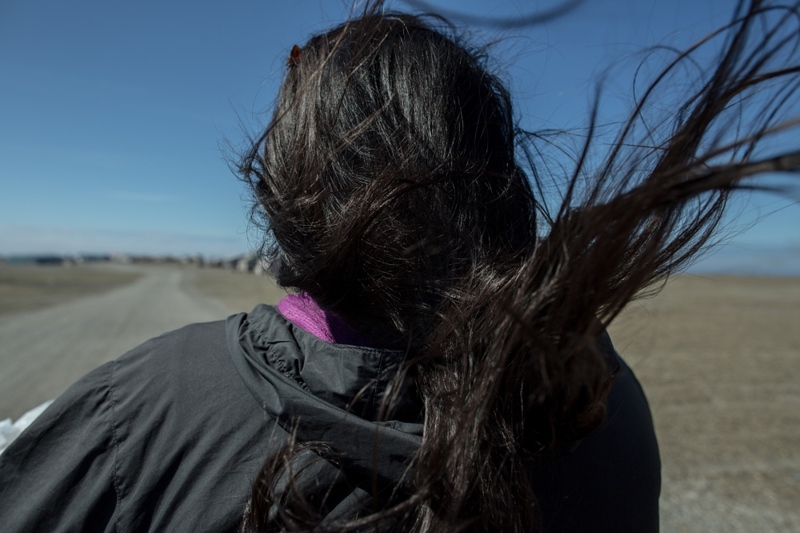 Chase Apassingok, 13, walks towards his sister, Danielle Apassingok, 17, while they watch the sea for seals. 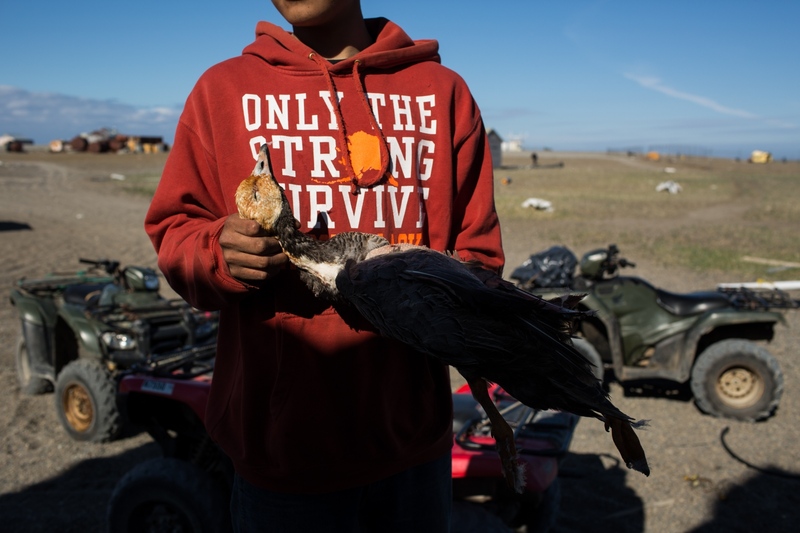 Chris Apassingok holds an emperor goose he hunted early that morning. 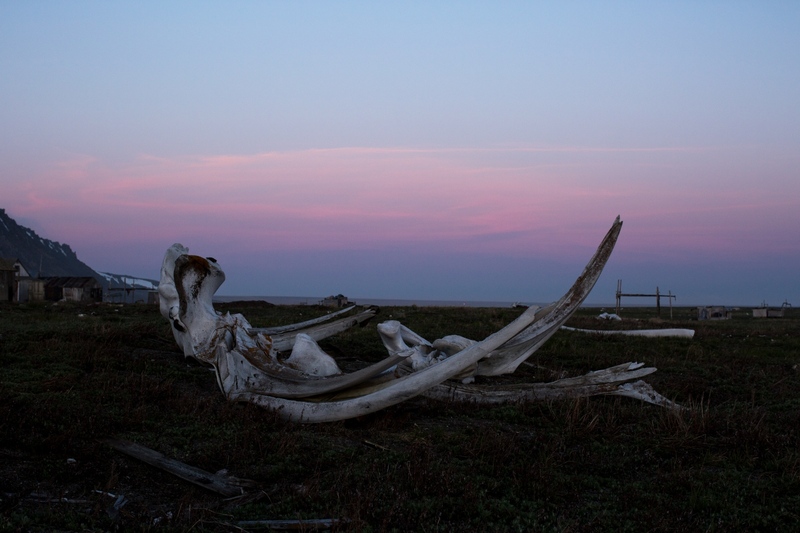 Whale bones, walrus bones, and others are proudly displayed around town in Gambell, next to racks for skin boats and fresh catches. 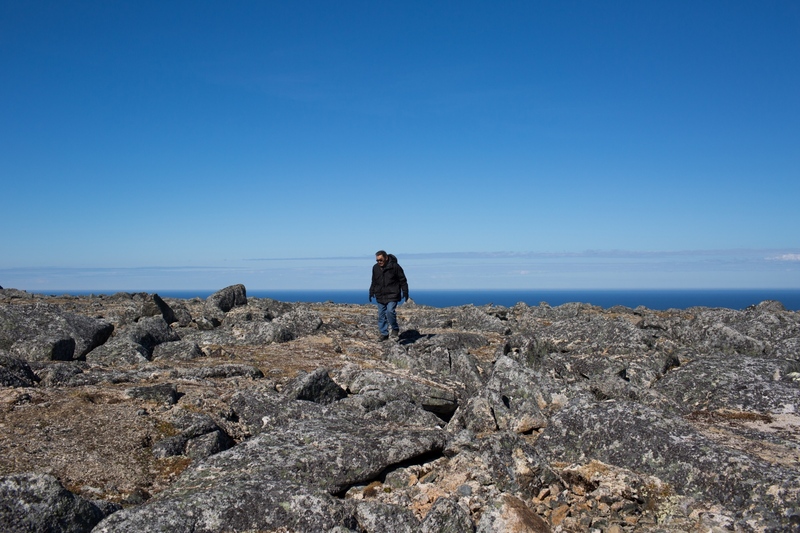 Mike Apatiki, Chris's grandfather, walks on Sivuqaq Mountain. He says that Chris is one of the most skilled young hunters in the village. 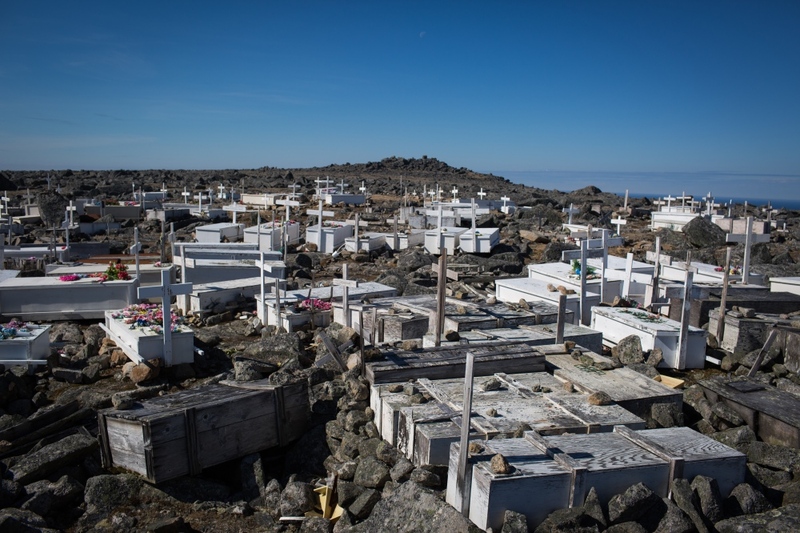 The cemetary on top of Sivuqaq Mountain in Gambell, Alaska. The deceased have been placed in reinforced coffins but are not buried. Flowers in the cemetary on top of Sivuqaq Mountain in Gambell, Alaska. 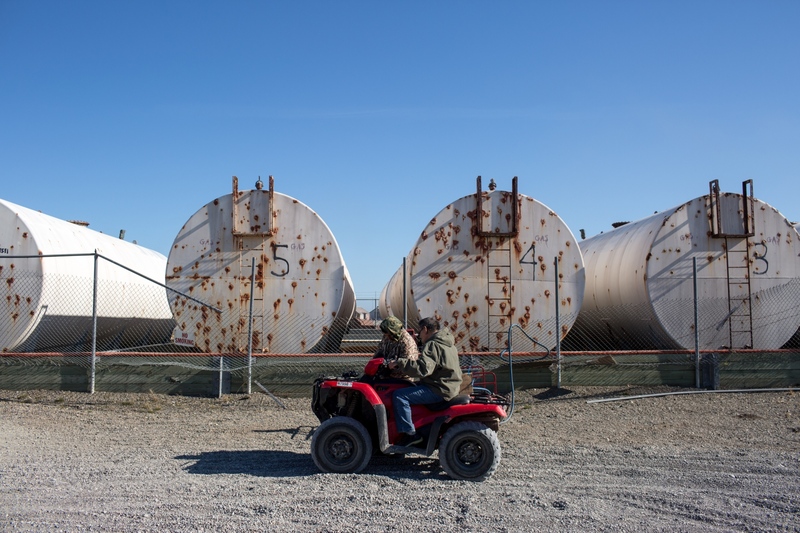 Mike Apatiki, Chris's grandfather, fuels up his four wheeler at the Gambell gas station. Susan Aakapak Apassingok rides her fourwheeler towards home. 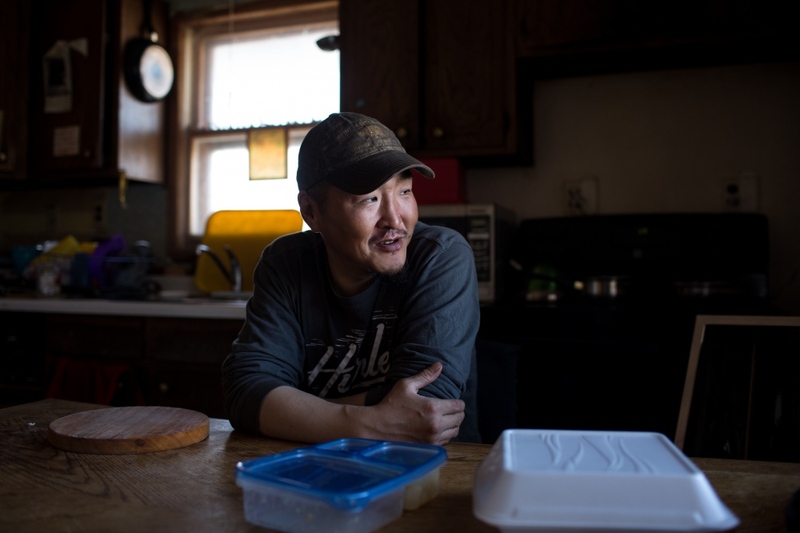 Daniel Apassingok takes his lunch break at his father's home in Gambell, Alaska. 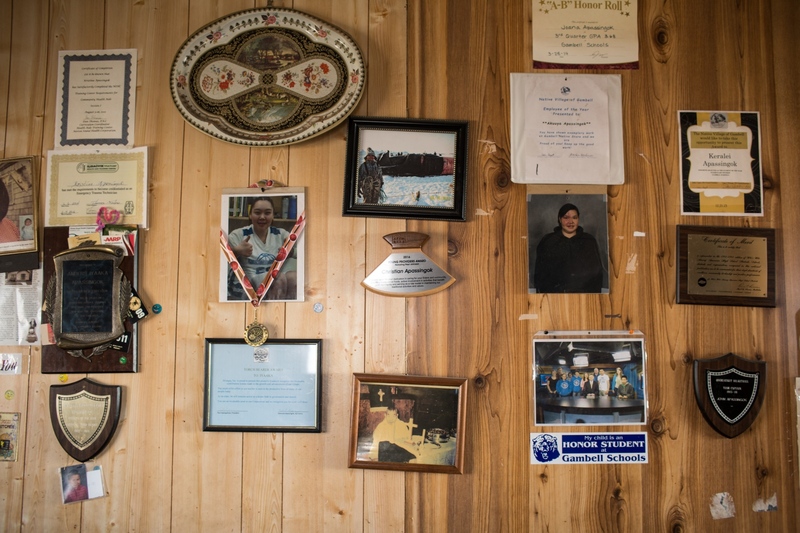 A wall in Daniel Apassingok's father's home in Gambell, Alaska, which boasts photos and a "young providers award" of his grandson, Chris. 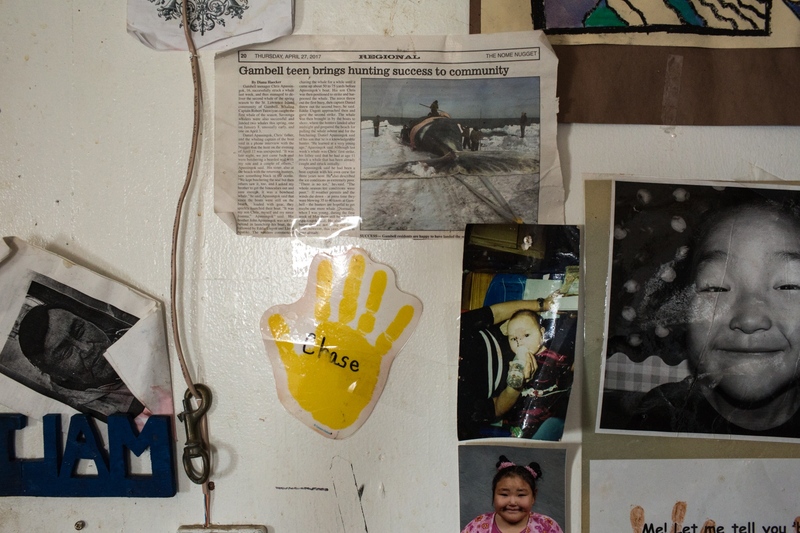 A wall in Daniel Apassingok's father's home in Gambell, Alaska. 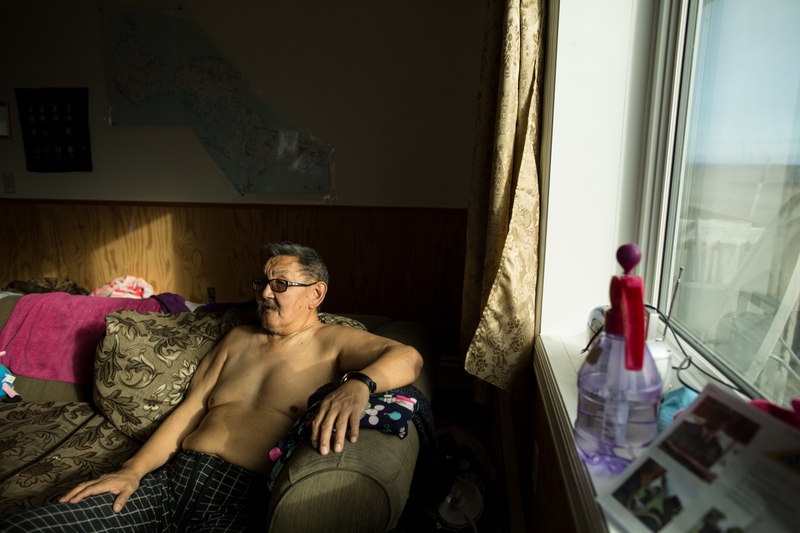 Mike Apatiki, Chris's grandfather, in his home in Gambell, Alaska. 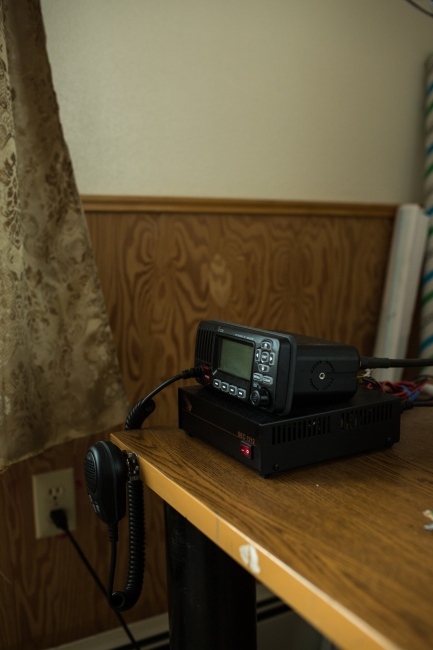 The CB radio in Mike Apatiki's home in Gambell, Alaska. Like most villages in rural Alaska, homes typically use the radios as a way of communication within the village with one another. 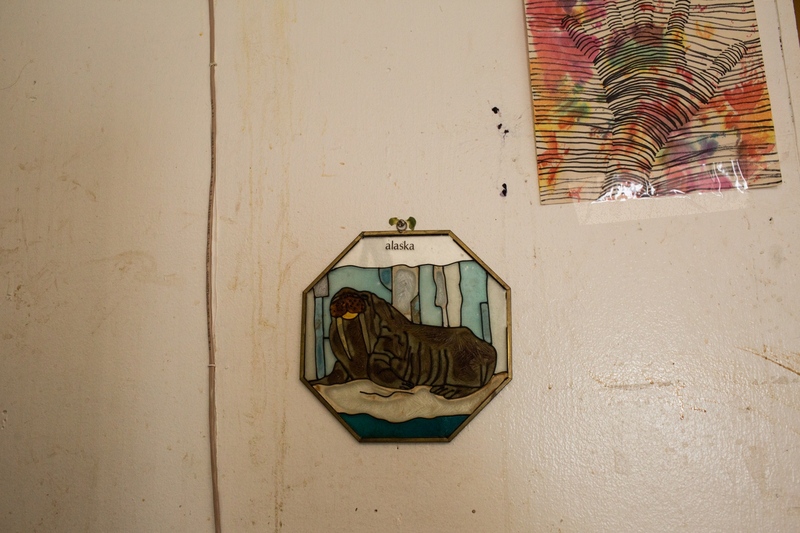 A map of St. Matthew Island in Mike Apatiki's home in Gambell, Alaska. Mike Apatiki, Chris's grandfather, gestures on a map of St. Lawrence Island where the path the whales typically trake in the sea. 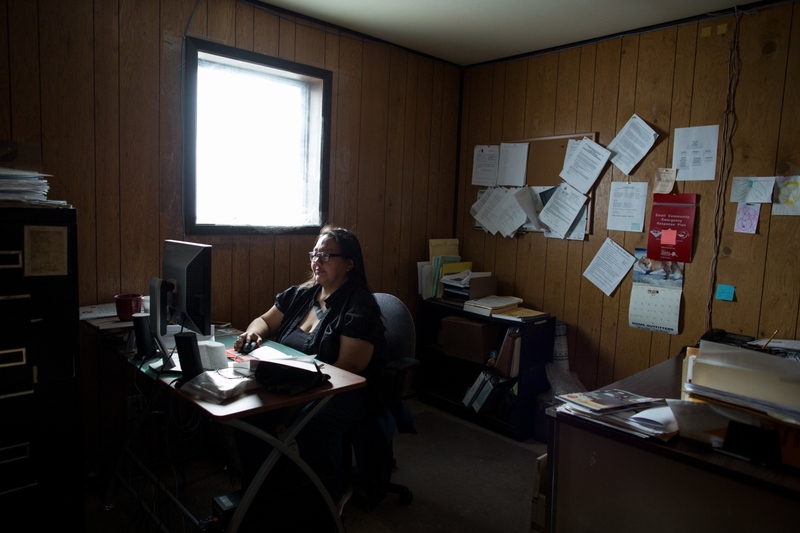 Susan Aakapak Apassingok, Chris's mother, in her offce in Gambell, Alaska. Susan works as the Vice Mayor of the village. 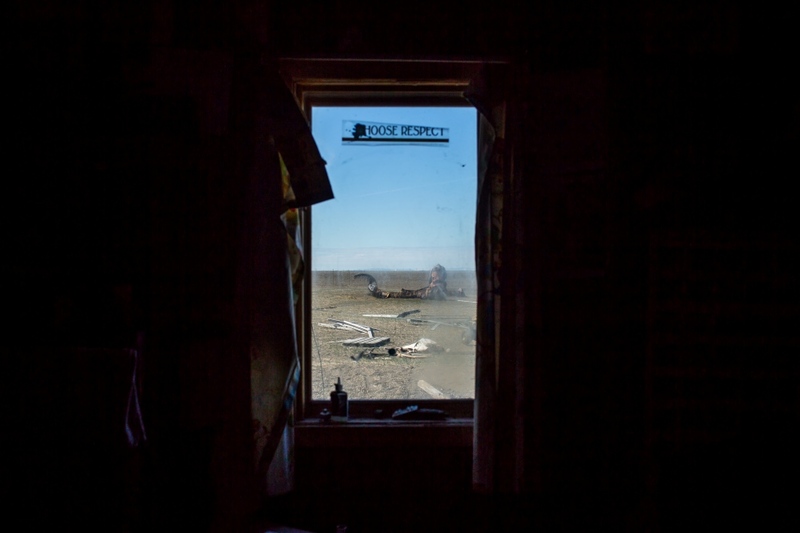 A window in Susan Aakapak Apassingok's offce in Gambell, Alaska. Susan works as the Vice Mayor of the village. 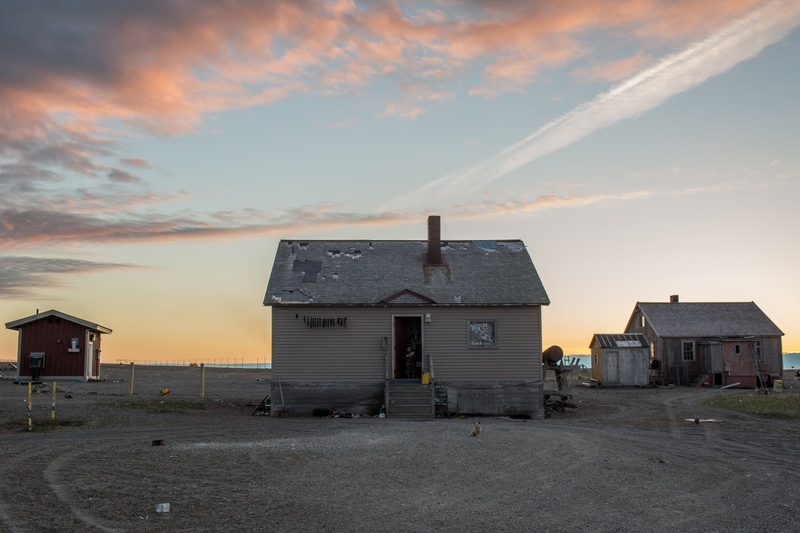 A basketball hoop Chris Apassingok and his sister, Danielle, made "just for fun," sits outside their home in Gambell, Alaska. Chris says his two favorite things are hunting and basketball. Daniel Apassingok gives his son, Chris, a ride to school on his four-wheeler in the early morning. Daniel works as a custodian at the school. Chris heads into school for the day.